Home > News > Masters In Management > What Is The Future For Masters In Management Degrees In The USA? A master’s in management degree has long been a passport to the boardrooms of Europe’s largest listed companies. But the French-made qualification is becoming a route to the top of corporate America, thanks to the increasing popularity of MiMs in the US. The courses have had to overcome teething problems in America, where the MBA is still arguably the best-known business school qualification. US schools have had to work diligently to help corporate recruiters understand what the MiM is, and how its graduates are prepared for their talent pipelines. 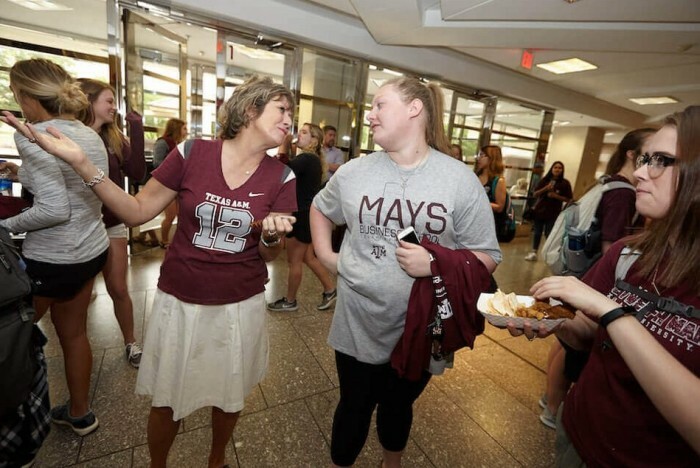 Kris Muir, director of the MS Business program at Mays Business School at Texas A&M University, recalls that many job applications did not even list the MiM as an option when the program launched in 2016—eliminating students from consideration for the roles. But this bias has largely evaporated, according to Kris, due in no small part to business schools’ efforts to educate employers. Mays, for example, hosts an annual networking shindig for MiM students and recruiters to mark the program’s launch each summer. Kris also visits employers personally during Mays’ career fairs to help educate them about the MiM degree. “US recruiters are more accepting of the MiM now than in the past,” he says. “Last year one very large company hired one of our students and significantly changed their hiring process as a result of that experience in order to make it easier for their recruiting team to hire our students.” He adds that the degree is not under-valued by US employers. At Hult International Business School, 60% of master’s graduates work in the US, with top companies such as Bank of America, Apple, and Macy’s, to name a few. “This speaks for itself in terms of the degree’s appeal to US recruiters,” says Momtchil Kovatchev, Hult’s vice president of strategic initiatives. The school, with its Masters in International Business program, was one of the pioneers of the MiM in the US. Hult’s MiM intake has grown more than 30% over a five-year period. Despite a booming economy approaching full employment, 46% of US employers are struggling to recruit candidates, according to ManpowerGroup, suggesting a talent shortage. US companies with large talent pipelines, such as consultancy firms, are also broadening their reach beyond MBA programs as their hiring needs outstrip the growth in size of MBA cohorts. “Employers appreciate that our graduates are able to work independently in cross-cultural, global teams, work with minimal supervision, and define and solve problems,” says Katharine Boshkoff, vice president of global career advancement and alumni relations at Hult. In recent years, big-brand US schools Duke Fuqua, Michigan Ross, Kellogg, and USC Marshall have setup MiMs alongside their highly successful MBAs. The MBA is the US’s best-known qualification, but could the MiM give it a run for its money? Its popularity is growing among a generation of students who are, increasingly, not willing to give up two years of work and salary to get an MBA. When CarringtonCrisp, an education research company, surveyed 1,000 prospective business school students last year, two-thirds said they were considering getting a MiM instead of an MBA. The most recent application data from the Graduate Management Admission Council show that MiMs globally received 7,834 applications in 2018, a 2.6% increase on the 7,635 applications the year before. But in the US, seven in 10 programs saw declines in applications in 2018. This mirrors a broader decline in applications to all US master’s programs including the MBA on the back of immigration concerns. It could also signal that the MiM has some way to go in becoming a staple of US business education, even though recruiters are warming to it. Nevertheless, Eric Larson, academic director of the MS Management program at the Gies Collge of Business in Illinois, is optimistic on the future of the MiM in America. “I don’t have a crystal ball, but I do believe we will continue to see strong interest in this degree," he says. "A student can get a world-class education in liberal arts and sciences and then complement that with a one-year immersion in business education. It’s a combination that is tough to beat."